Last month, xCloud has attended the 17th China International Software Expo in Beijing where there are many home and abroad visitors. 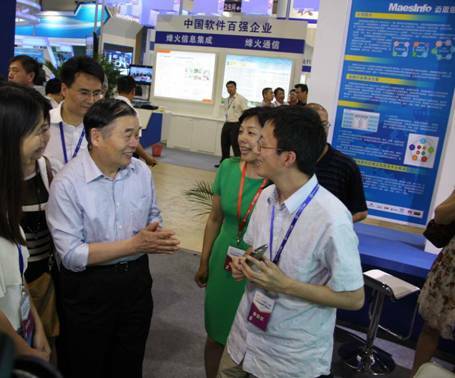 What’s more , Mr Yang Xueshan, Deputy Minister of Industry and Information Technology together with Mr Zhao Xiaofan, President of China Software Industry Association are interested in xCloud, and both of them listen to product introduction of D-Team with great interests. xCloud get the praise of leaders with its safety and high speed , and Minister also express his wishes:” Hope your products better and better”. xCloud is the product of one total new concept: Cloud storage, focus on supporting safe ,fast data transmission and storage service, which turns home PC or NAS devices to private cloud storage devices., to put data on one “visible and touchable” place. The P to P mode is the key to ensure high data speed transferring between mobile devices and PC. It is no exaggeration to say that xCloud is shocking traditional skydrive industry in great power.